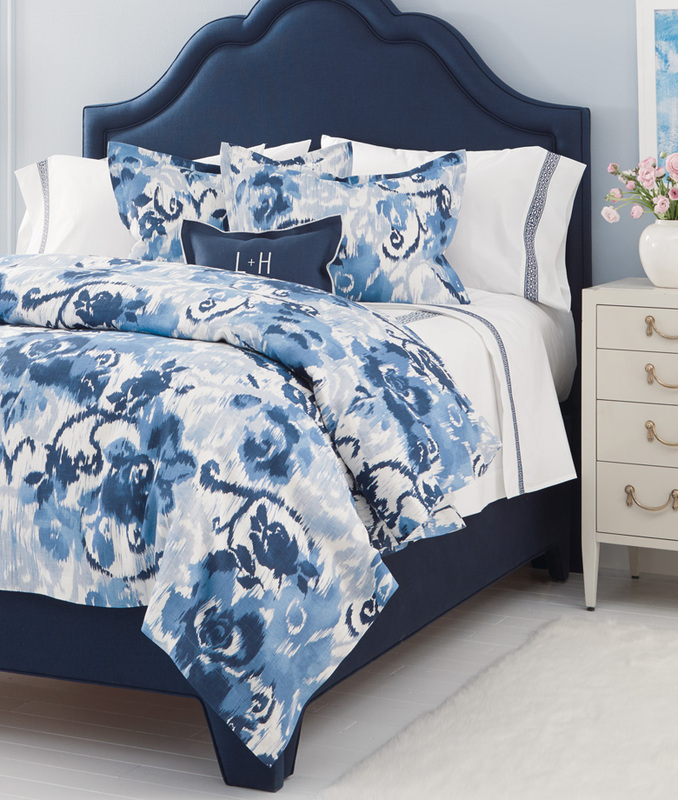 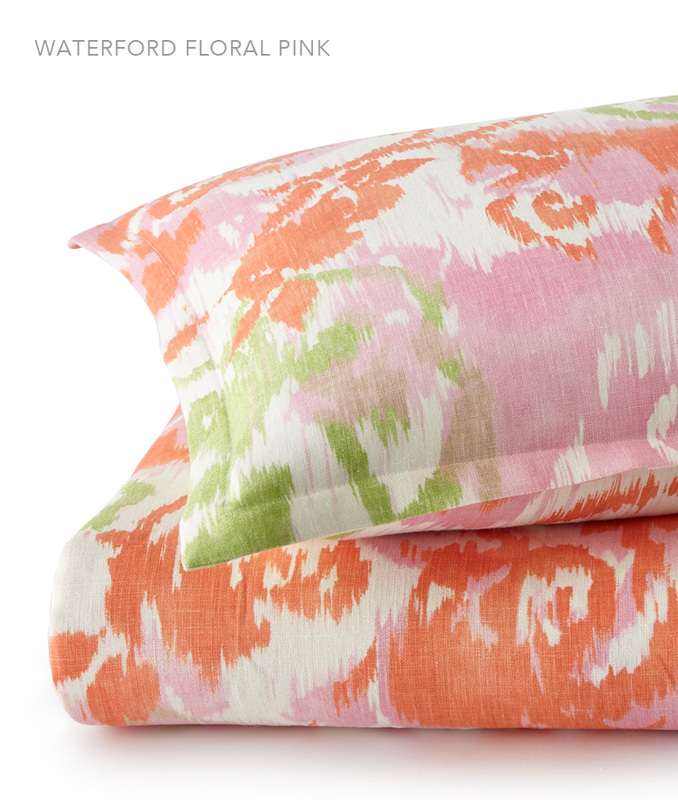 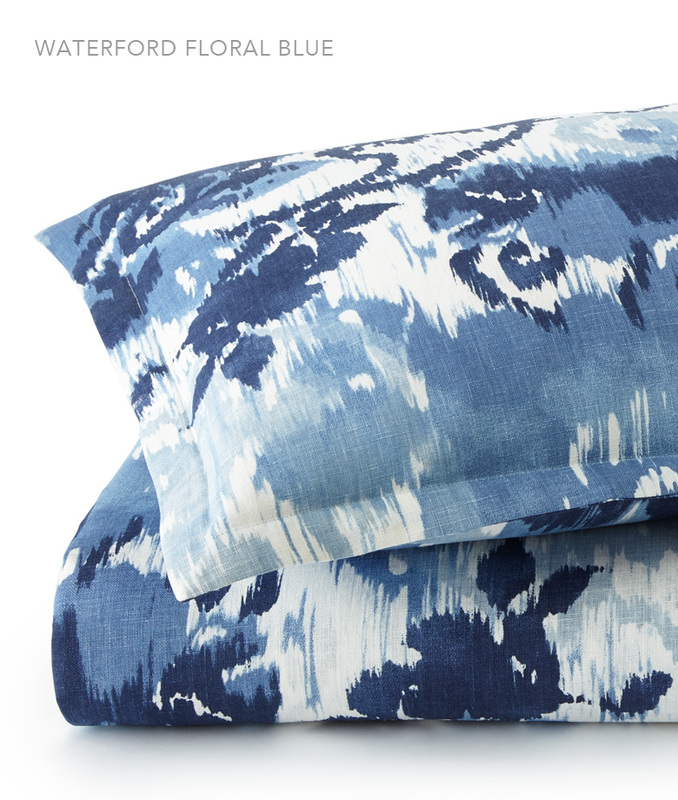 Morning rain or sunshine, who wouldn't want to wake up to this dreamy print? 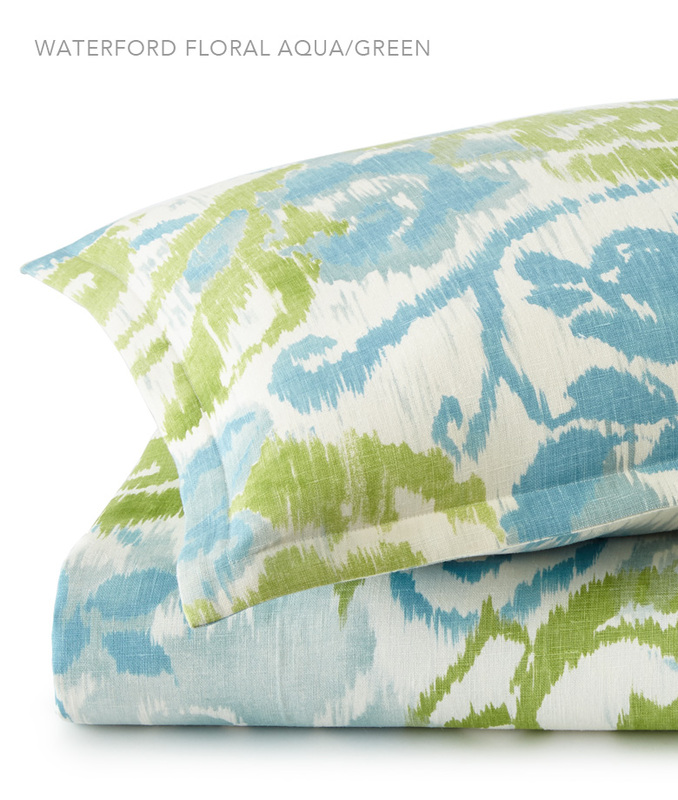 Here in Aqua/Green, Waterford Floral is also available in Blue and Pink. 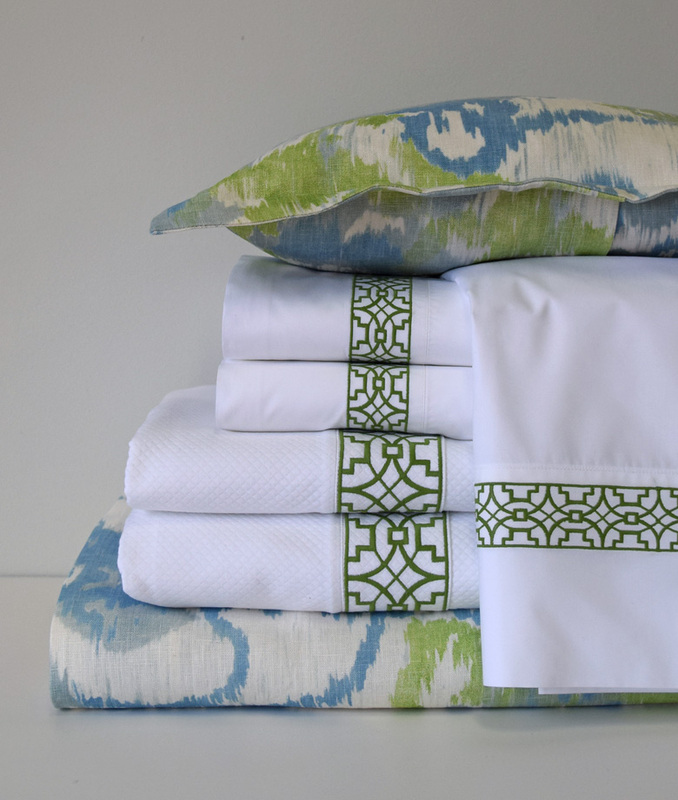 Shown with our Duet Ming Coverlet in Dakota and Sheets in Percale White with Mineral.